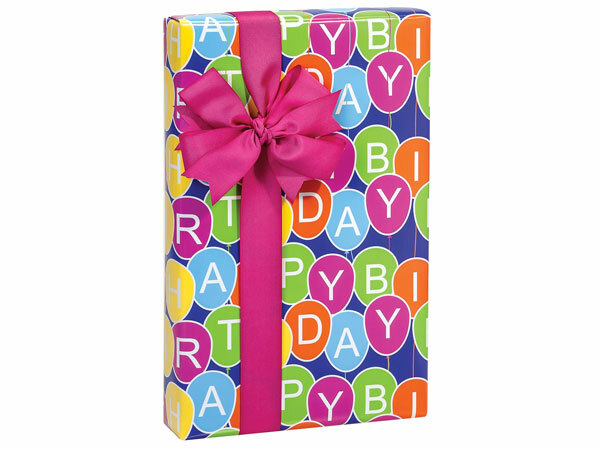 Birthday Balloons Gift Wrap Convenience Roll features bright balloons with Happy Birthday text. Perfect for birthday gifts! Bulk wrapping paper roll measure 24"x85' and wraps on average 70 gifts. Made in the USA.